Do you love items that get your family and moving? So do I. That’s why I love this Jazzminton indoor and outdoor paddle game! No matter the season, I can get my family off the couch and up playing a game and having fun. 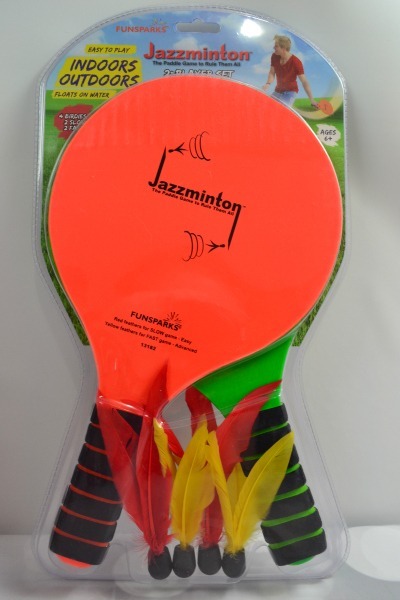 The Jazzminton paddle game comes with 2 fluorescent paddles and 4 birdies. The two red birdies are for slow play, and the two yellow birdies are for fast play. This is a fun game, no matter what your skill level is. 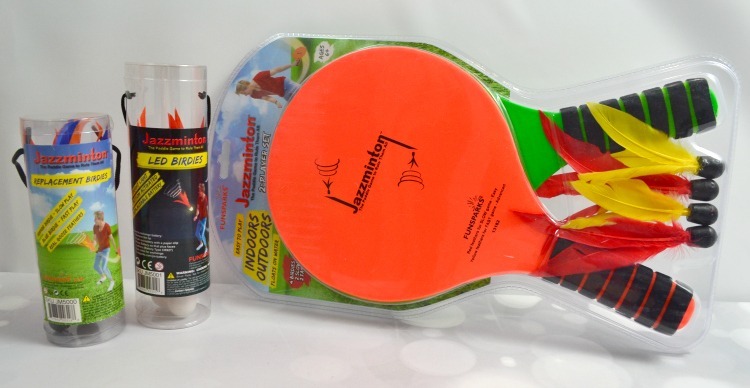 Thanks to the special water-resistant glue that Funsparks uses, you can even play with the Jazzminton set in the pool or at the beach and not have to worry about water getting on the feathers. 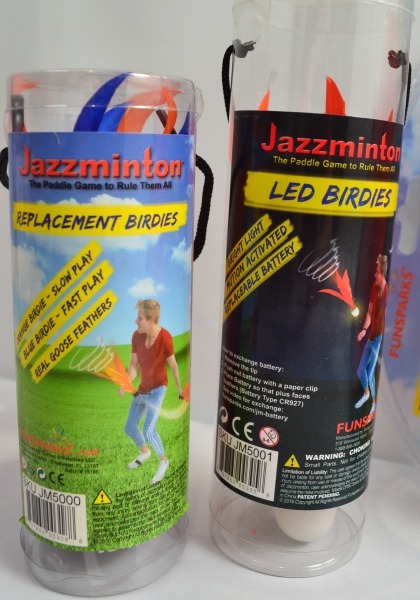 Jazzminton even has some super fun LED birdies that you can purchase. These light up birdies make playing in the dark super fun! Jazzminton is sure to be a fun game that you and your family will love. I like that I can get my family up and moving and we end up laughing since we are having such a great time. I hope that you will, too!